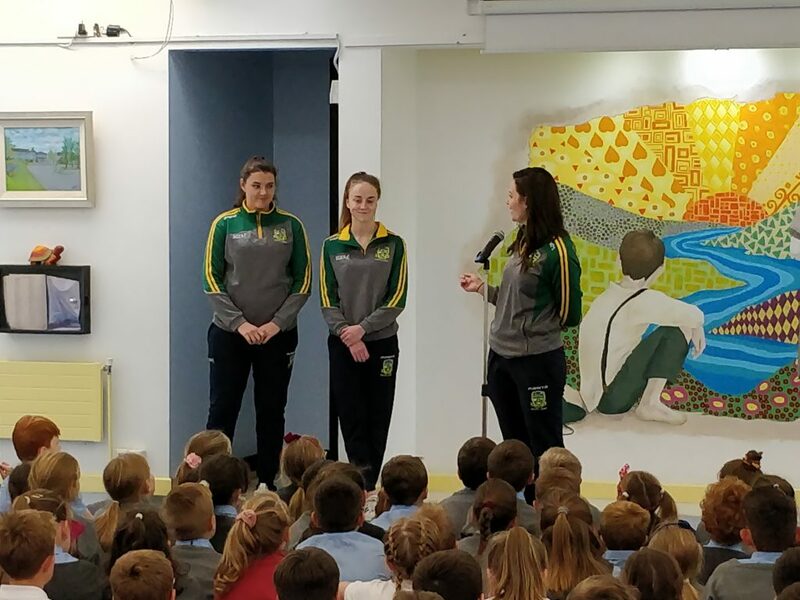 Recently we were delighted to welcome some local footballers to the school. 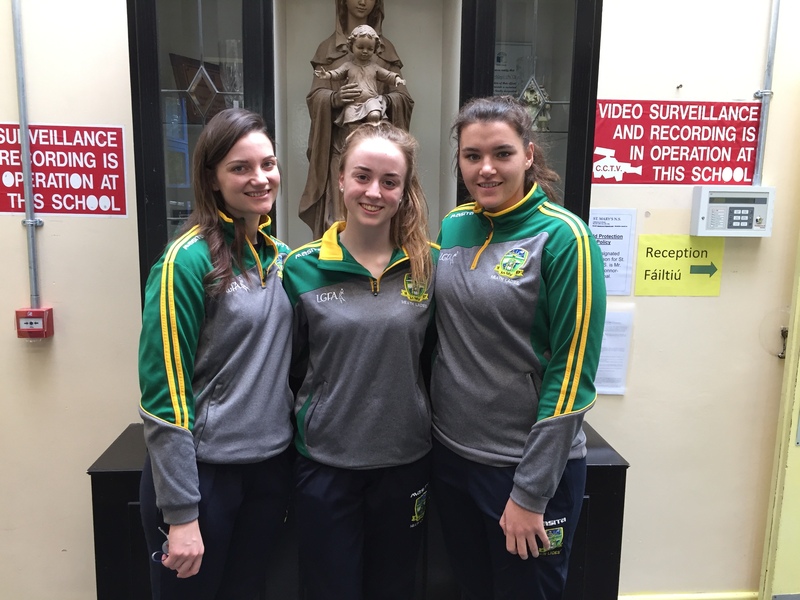 The ladies in question – Maire O’Shaughnessy, Aoibhin Cleary and Judy Bobbett, from Donaghmore-Ashbourne Club, lined out on the Meath Team for the Intermediate Ladies All-Ireland Football Final on Sunday at 1:45pm in Croke Park. 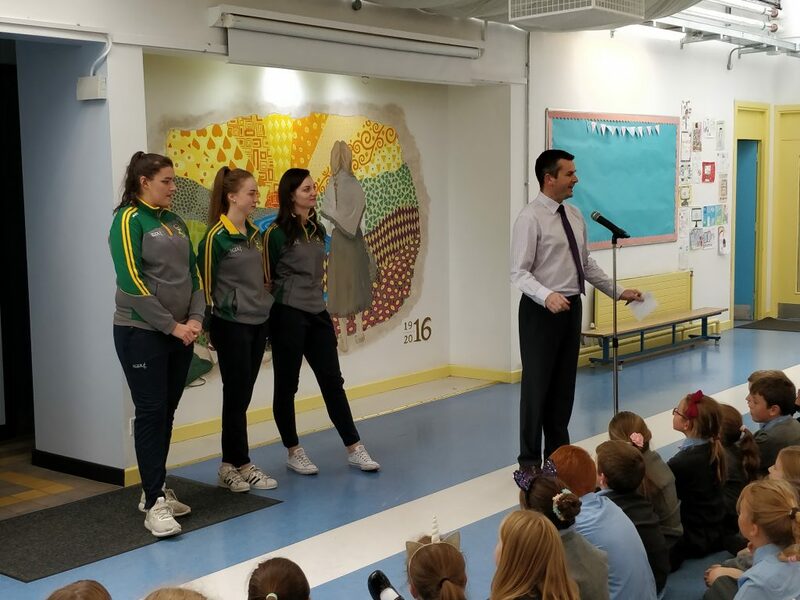 Welcomed by Principal, Mr Paul O’Connor, the players talked about their route to the final and there then followed a Q and A session led by the senior pupils. 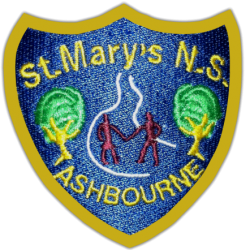 We have personal connections with this mighty team. 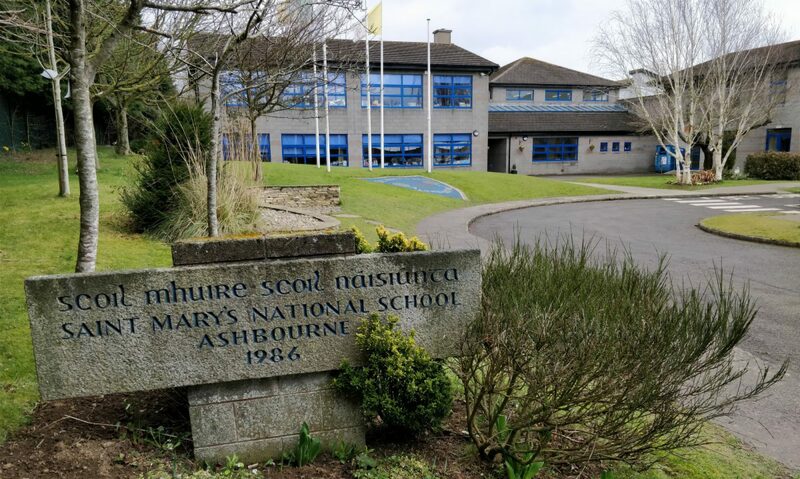 Aoibhin Bobbett has a brother and a sister in our school and Maire O’Shaughnessy is the sister of our staff member, Mairéad McGill. We thank them for visiting our school and we wish these talented ladies all the best for next year!! !